Unveiled in the new Neiman Marcus 2009 Christmas book is the exclusive 2010 Jaguar XJL Supercharged Neiman Marcus Edition. Under the roof, the XJL delivers 470 horsepower and has a third-generation supercharged 5-liter V8. 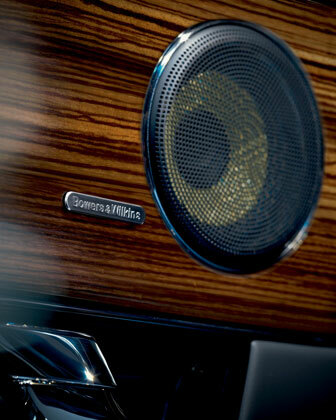 Inside, theres a custom interior of butter-soft navy and ivory leather and Zebrano matte wood accents. 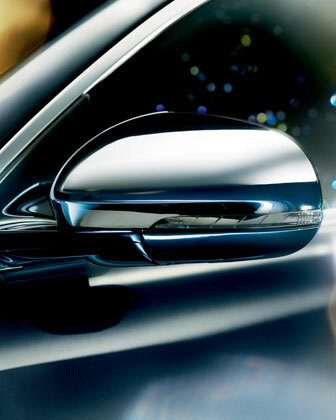 Your typical standard dials have been replaced with an interactive 12.3′ high-def screen giving access to audio, Bluetooth 2.0, hard-drive based GPS navigation, and climate control systems via touch screen or by speaking your commands into the Interactive Voice system. In the back is a media hub with docks for MP3 players and USB devices, a Bowers & Wilkins 1,200-watt premium sound system with Dolby ProLogic IIx Surround Sound and an aural-inspiring 20 speakers throughout the cabin. Other features include massaging front seats, electric sun blind, heated steering wheel, four-zone climate control, integrated security system and more. The Neiman Marcus edition also features an exclusive Celestial Black metallic paint outside and the NM nameplate on the custom interior intaglio, of course. 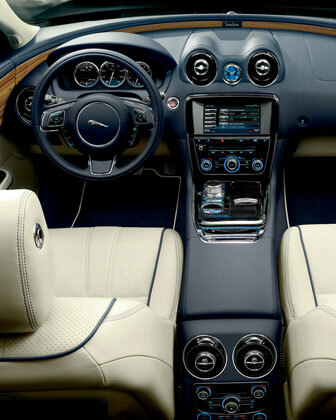 Jaguar will only produce 50 of the 2010 Jaguar XJL Supercharged Neiman Marcus Edition. 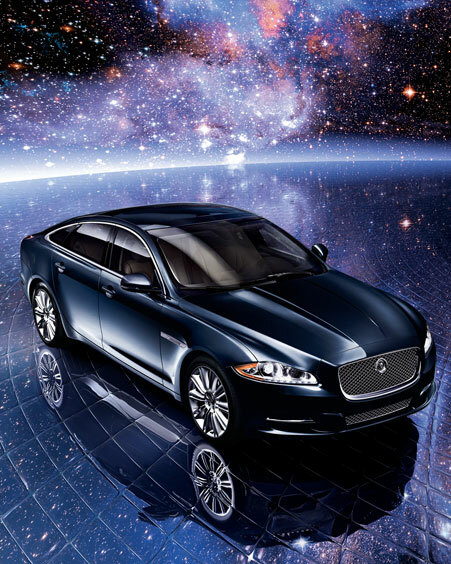 Starting on October 16,2009 promptly at noon EDT, you can call 1-866-524-6963 to reserve your Jaguar. Manufacturer’s Suggested Retail Price is $105,000. Visit www.jaguarusa.com/neimanmarcus for more details.